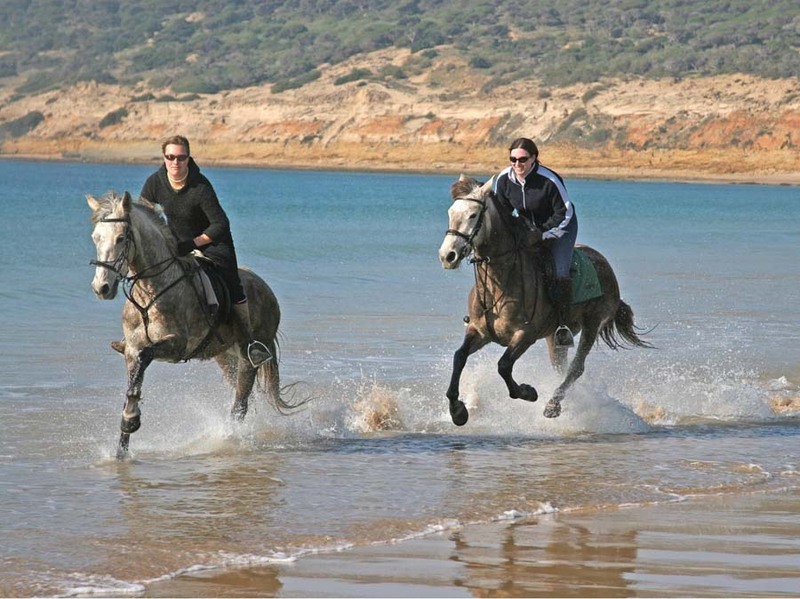 Low Season – Departures every Sunday, 27 January to 21 April & 27 October to 24 November. Mid Season – Departures every Sunday, 29 April to 24 June & 2 September to 21 October. High Season – Departures every Sunday, 1 July -to 26 August. 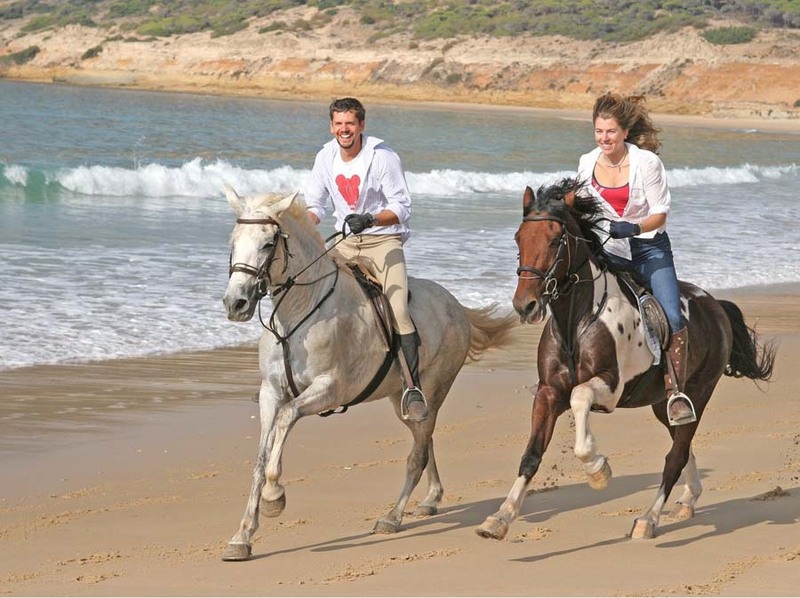 Low Season – Departures every Wednesday, 30 January to 24 April & 30 October to 27 November. Mid Season – Departures every Wednesday, 1 May to 26 June & 4 September to 23 October. High Season – Departures every Wednesday, 1 July -to 26 August. 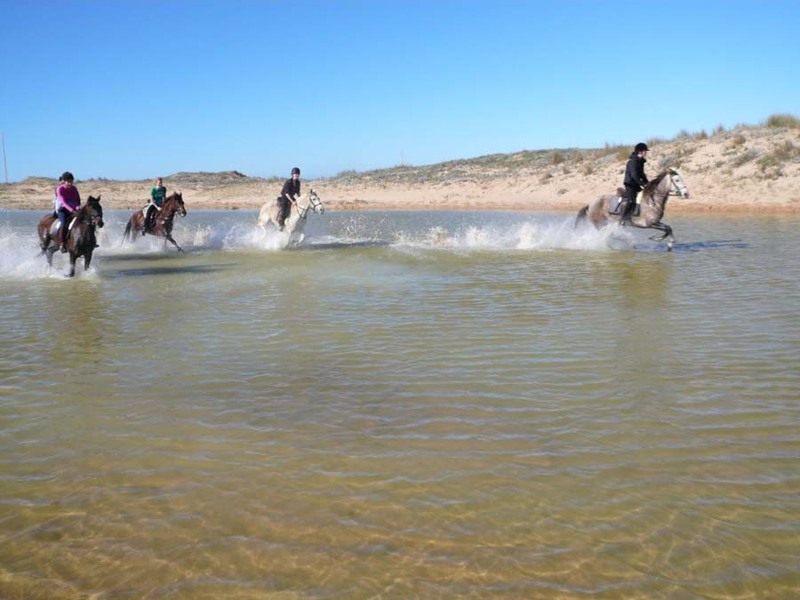 Specials - Groups of 7 plus receive one place free of charge. 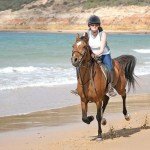 Included – All riding, accommodation, meals and drinks with lunches (except dinner on free day) and set time airport transfers. Excluded – Flights, transfers outside of set times, drinks with dinner and outside of meal times & alcohol, one dinner on ‘free’ day, lunches for non riders & tips. The transfer time is 2 and a half hours and there is a scheduled pick up and drop off transfer available. Arrivals must be at or per 2.30pm on Sundays, and drop off’s are not before 10am on Sundays, therefore flights should be booked accordingly and with these times in mind. 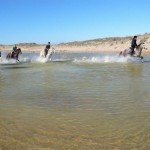 If you dream of galloping fit and well schooled horses along a deserted beach of golden sand, then you should consider this fun holiday based in the quaint and bustling fishing town of Barbate, Andalusia. 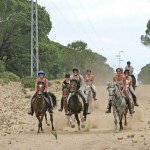 This is a super, great value horse riding holiday in Spain, perfect for individuals or groups of friends who are looking for a laid back, fun riding holiday. 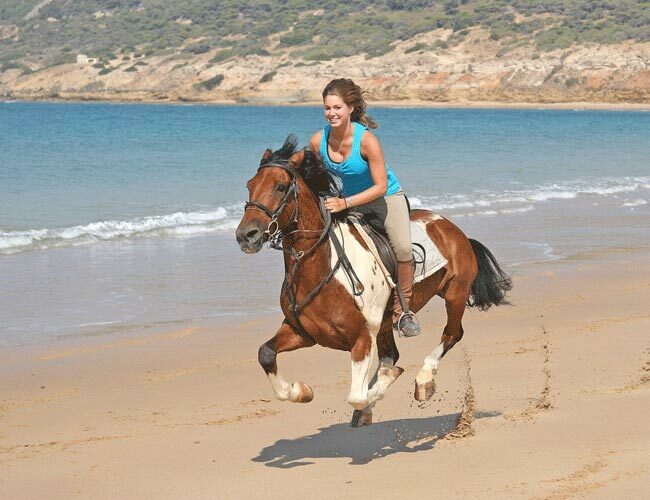 We think it’s best suited to people who ride for fun at home, in a riding school, riding club or on their own horse. 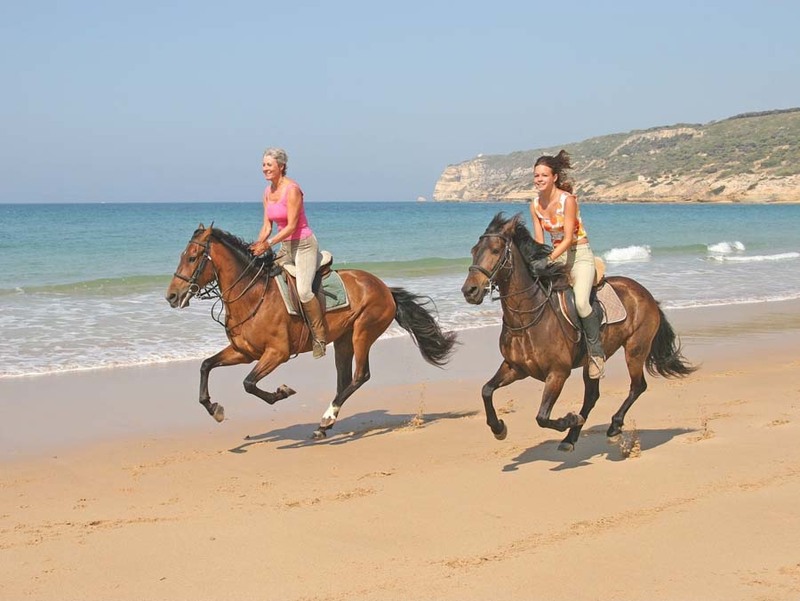 Guests can look forward to enjoying a week of interesting riding on the beach, through the countryside and forests on well schooled, well behaved Hispanic horses with attentive and fun hosts, Steve & Caroline, who are originally from the UK. 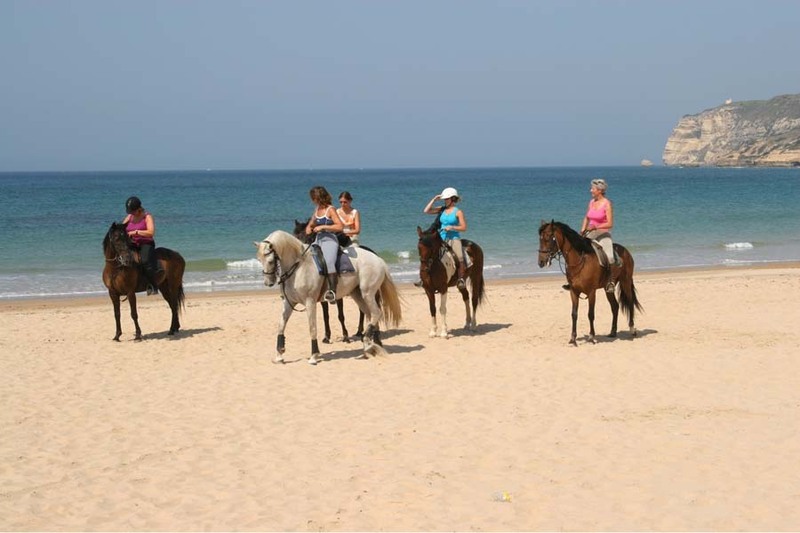 Evenings are also sociable, after a full morning riding, and an afternoon dip in the sea (the hotel is just minutes from the beach) there’s just time for a quick shower and then it’s off into town for a variety of meals in the local eateries. It’s great fun, especially as Steve & Caroline are so well known and liked. 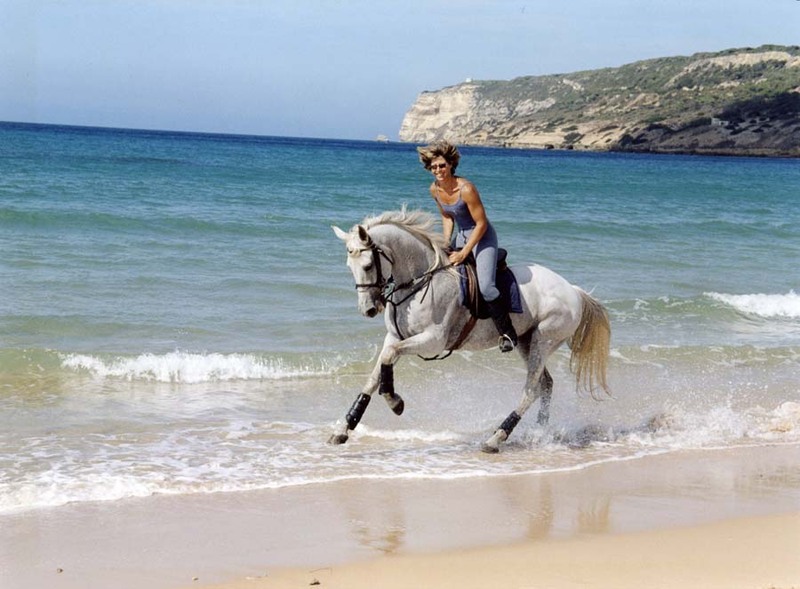 The other thing of note about this holiday, and unlike others in Spain, is that Steve & Caroline are able to offer the beach riding for 12 months of the year. 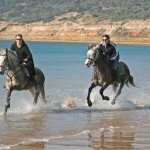 Beach & Forest Ride : Horses – Hispanic Arabs & Anglo Arabs. 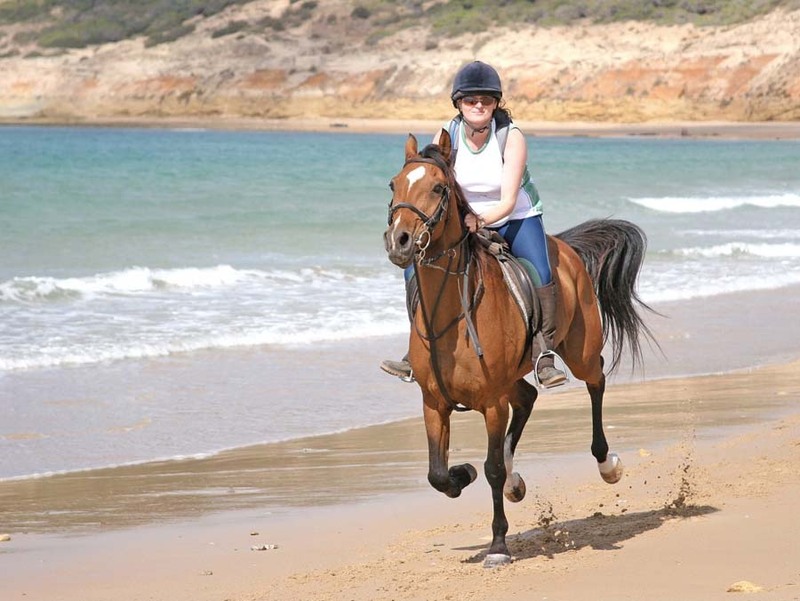 Beach & Forest Ride : Level of Riding & Pace – Intermediate to Advanced. 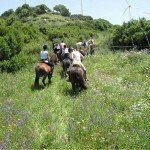 The horses are well behaved, but very forward going and guests must be able to gallop confidently in open countryside. 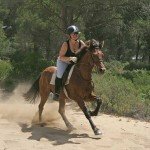 Beach & Forest Ride : Tack – English. 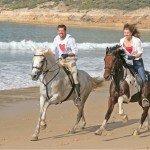 Beach & Forest Ride : Weight Restriction – 13 Stone / 84 kg / 182 lbs. 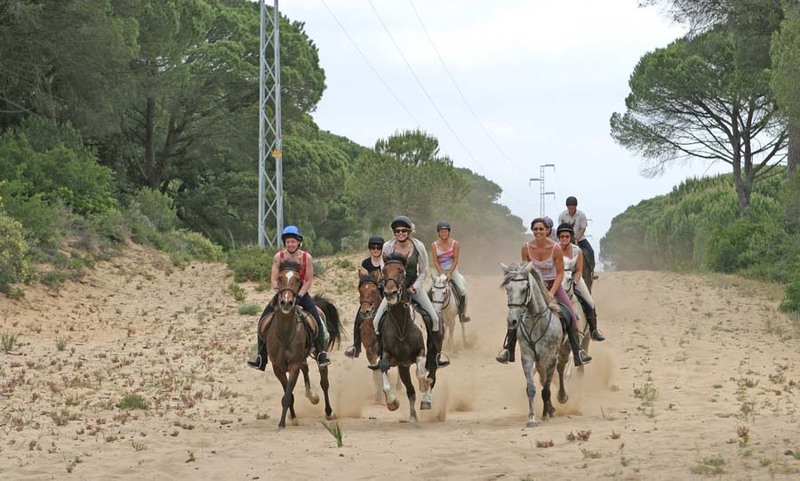 Beach & Forest Ride : Group Size – Maximum 9. 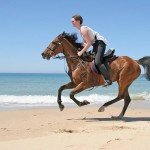 The hotel accommodation for the Beach Ride holiday here is officially 3 star, however the recent refurbishment, and friendly attentive staff means it’s more 4 star and above. 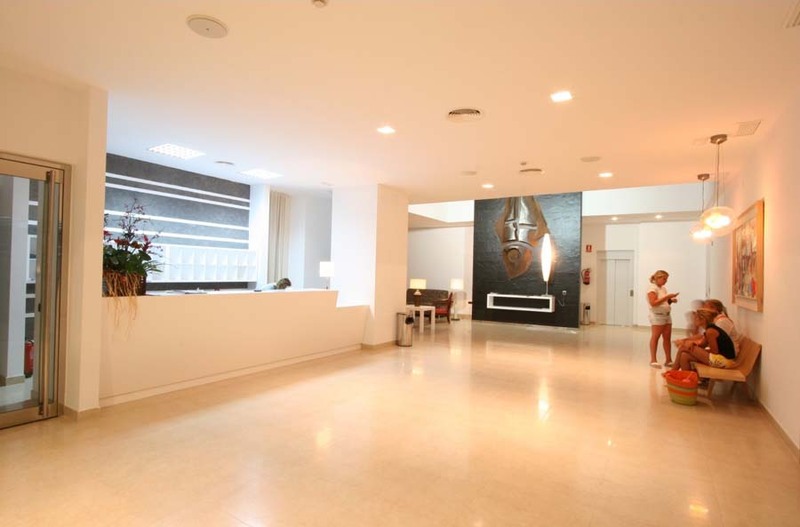 All rooms are spacious, with balconies and ensuite. 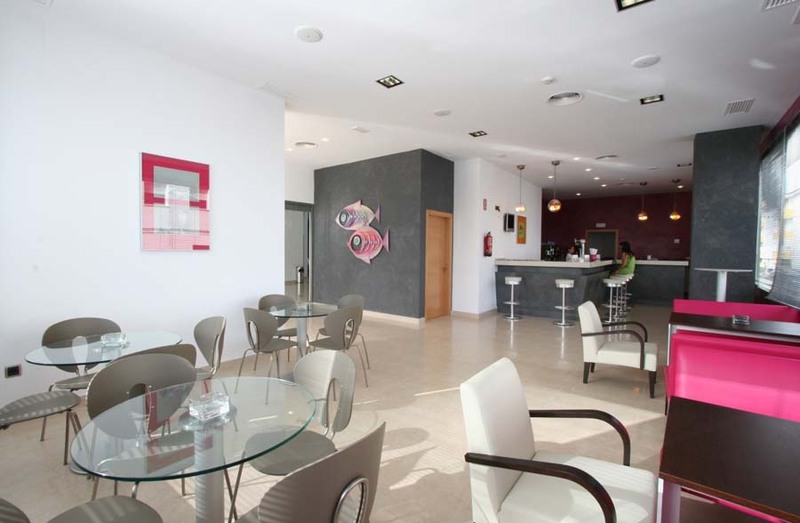 The hotel also benefits from being just minutes from the beach. 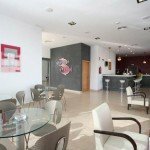 Breakfast is continental style at the hotel, with lunches taken after the morning ride, usually tapas style in a local taverna. Evening meals are out in local restaurants in the fishing village of Barbate, where the food is fresh, local, in abundance and served with plenty of local wine. 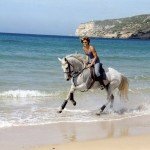 Horse Riding Holidays like our Beach Ride in Spain are part of the Zara’s Planet collection of Horse Riding Holidays Spain. 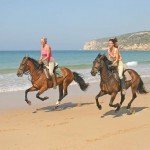 This is a hotel based holiday and you will spend two fantastic days of horse riding on the beach, three days of superb forest riding and one day at your leisure. 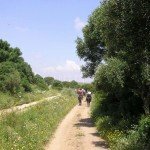 The finca borders land on the nature reserve La Breña y Marismas de la Barbate in the small hamlet of San Ambrosio. 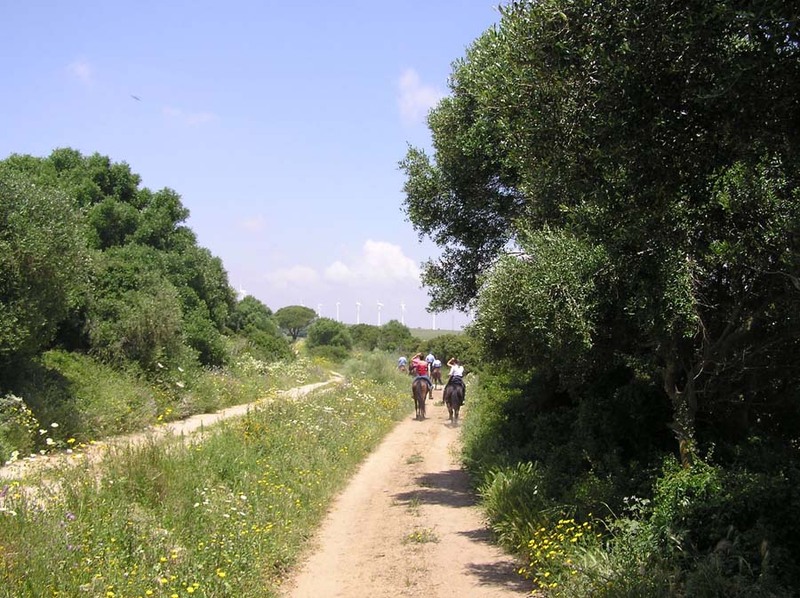 A few minutes drive out of Barbate the finca is the start and finish for all the routes. 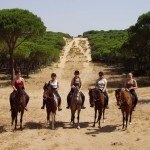 On arrival at the finca the horses will be ready to ride. 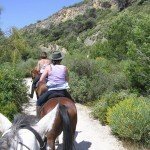 An average of four and a half hours each day is spent in the saddle with a short break part way round. 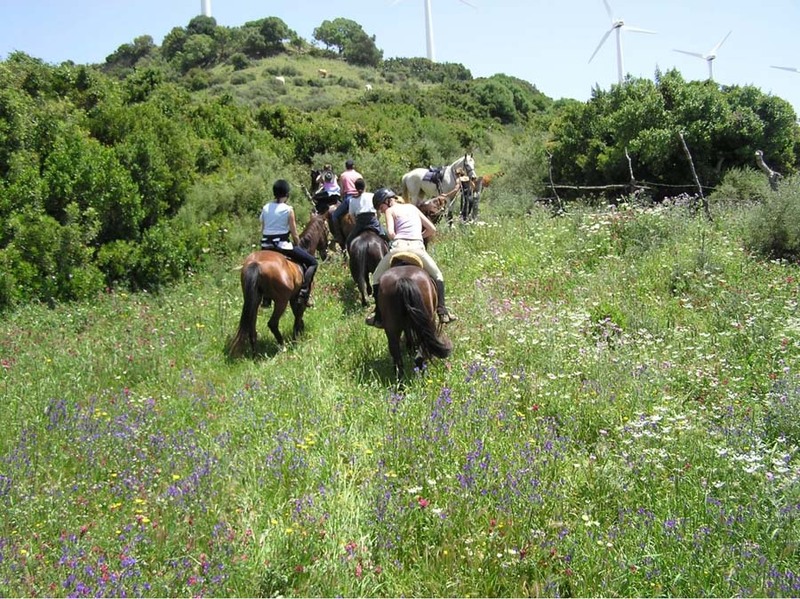 After returning to the finca and making the horses comfortable, a hot lunch is provided nearby at Venta Luis. 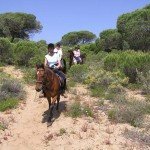 Returning back to Barbate between 16:00 and 16:30 leaves the afternoon free to spend on the beach, sightseeing or shopping. 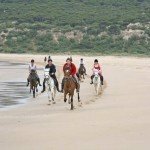 The finca is based on the edge of the spectacular natural park of La Breña y Marismas de Barbate. 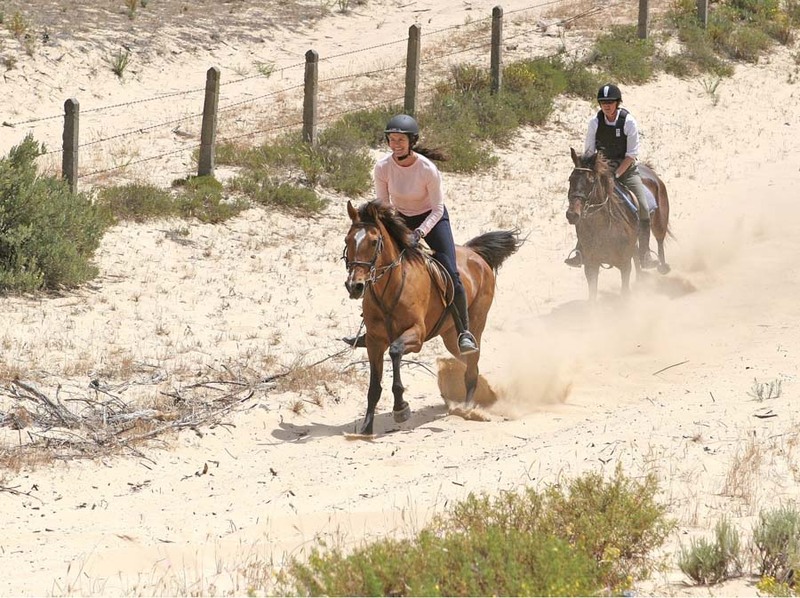 With long, wide firebreaks, and twisty forest tracks the park couldn’t have been designed better by a horse rider. 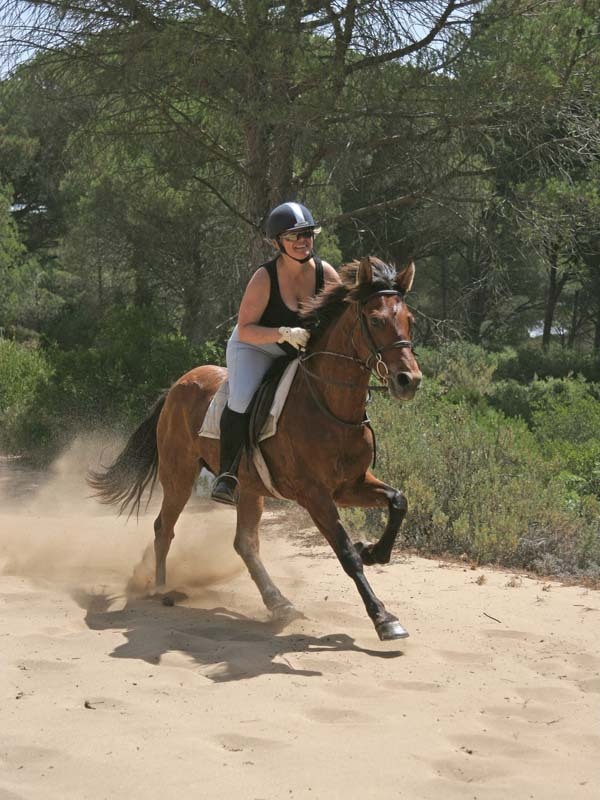 The going in the forest is excellent and as it is sand it stays excellent whatever the weather. 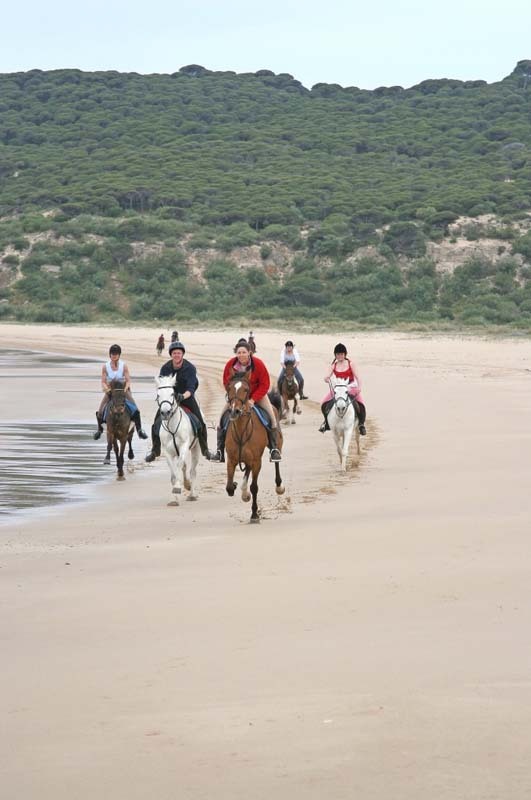 Each day there are plenty of opportunities for long collected canters along the sandy tracks, and exhilarating gallops along the firebreaks. 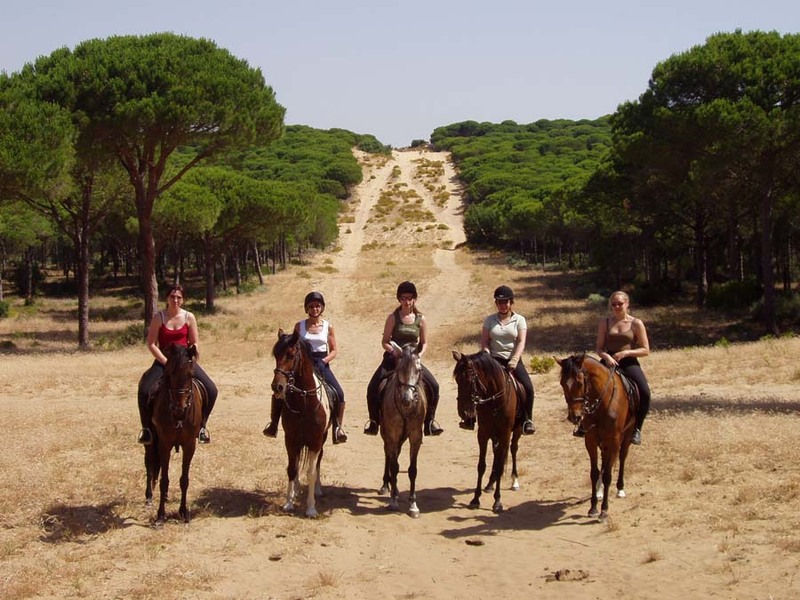 In between the fast work, we move through the forest on a long rein and at a leisurely pace, taking in the peaceful tranquillity of the place. 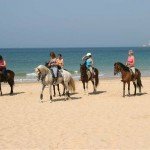 The beaches from Los Caños to El Palmar are in total about 10 kilometres long. 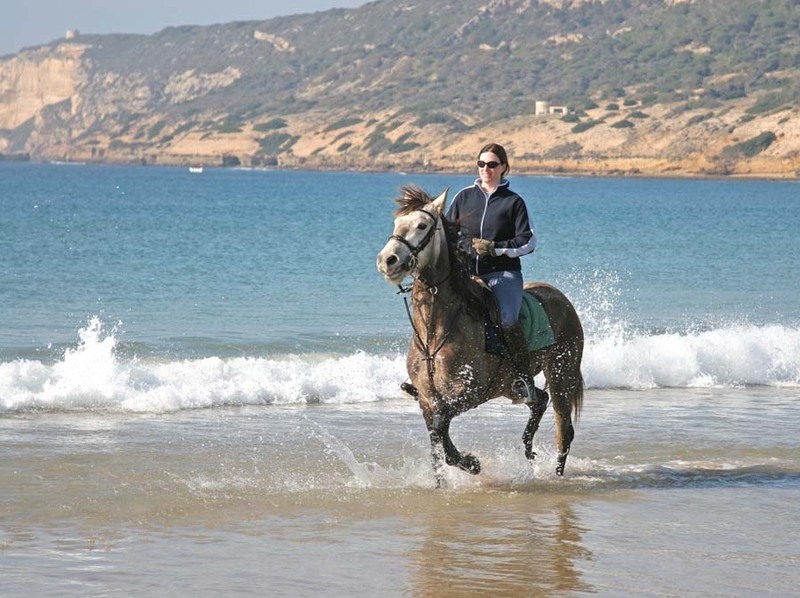 After passing the lighthouse and making our way to the water’s edge, we go for our first beach gallop of the day. 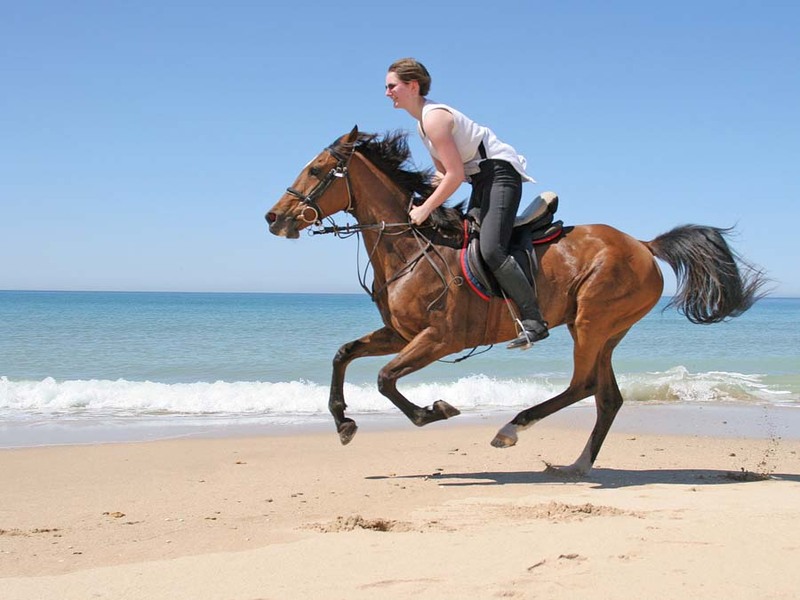 Most of the day’s riding is spent on the beach with a mixture of meandering in the surf, gentle canters and the occasional gallop. Monday. Collection from the hotel is at 09:30 each day. 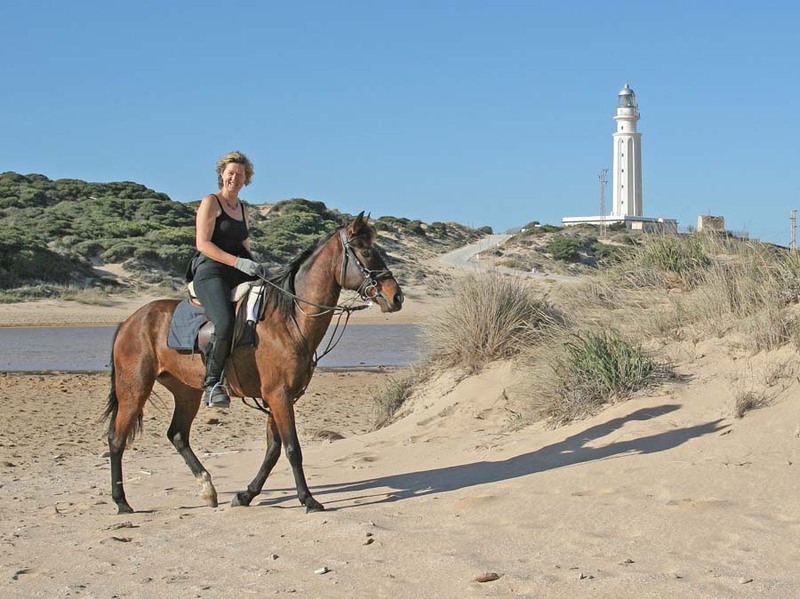 Today’s ride leads through the beautiful pine forest to the 17th century Mecca tower overlooking cape Trafalgar. 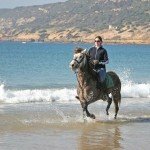 This introductory ride allows you to get to know your horse, with the faster paces being introduced as your confidence grows. Wednesday. 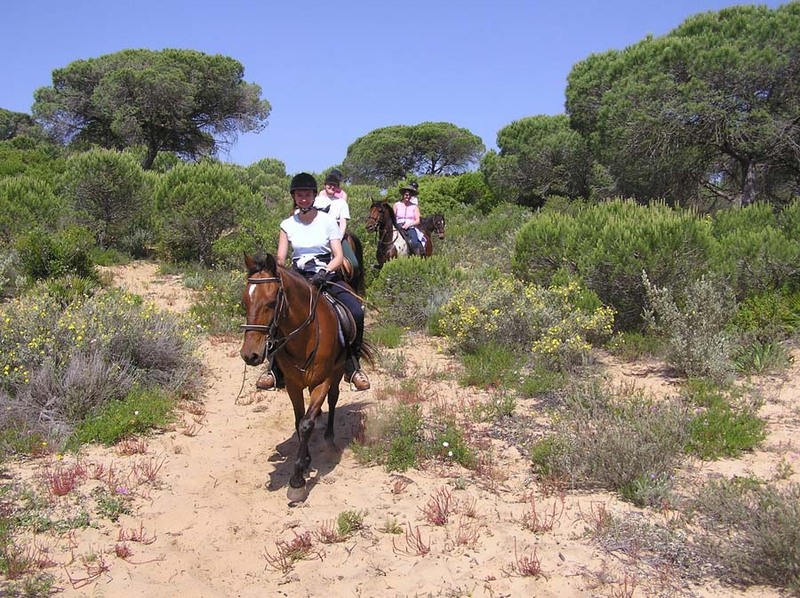 Today’s we go to the cliffs overlooking Barbate. 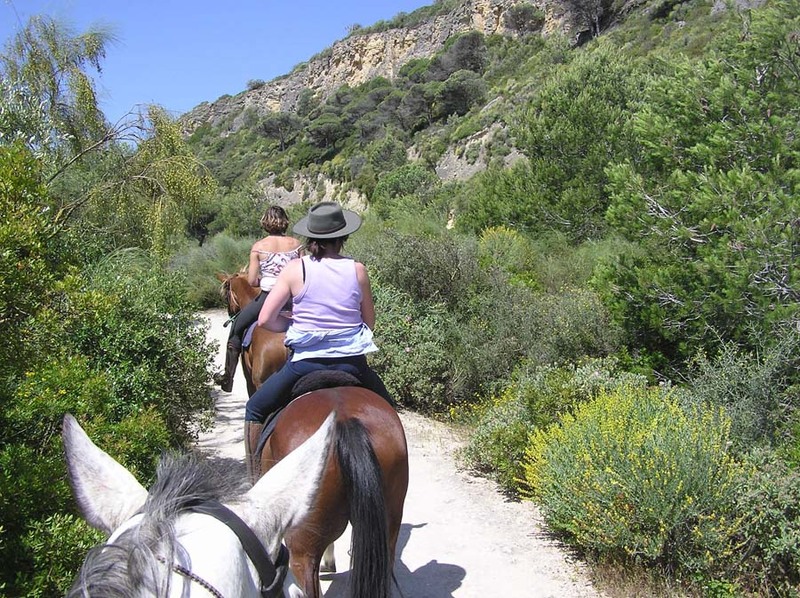 The ride has superb views of the surrounding mountains and on a clear day North Africa. Lots of long gentle canters. Thursday. Forest ride. 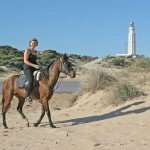 Today’s ride leads through the beautiful pine forest to the 17th century Mecca tower overlooking cape Trafalgar. 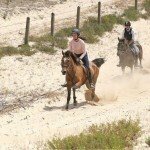 The route allows you to get to know your horse, with the faster paces being introduced as your confidence grows.